To those of a certain age, Eddie Waring's trademark trilby and contorted vowels conjure golden memories of 1970s light entertainment: an era in which a humble rugby-league commentator with a comical accent could line up alongside stars such as Morecambe and Wise. At the height of his success, Waring was regularly referenced on Monty Python's Flying Circus and imitated by impressionist Mike Yarwood, and he co-hosted ratings smash It's a Knockout. Yet, many fellow northerners viewed Waring's on-screen persona as an embarrassing regional stereotype. To his critics, he was the unwitting stooge of an organisation riddled with class snobbery and rugby-union bias, dedicated to keeping the 13-a-side code and, by extension, the north of England in its place. The truth was far less simple. Being Eddie Waring reveals how Waring was a true sporting pioneer whose influence is still being felt more than 20 years after his death. Containing first-hand accounts from those who worked with Waring and knew him best, this book traces his childhood years in poverty-stricken Dewsbury through to his final days blighted by illness and shrouded in mystery. 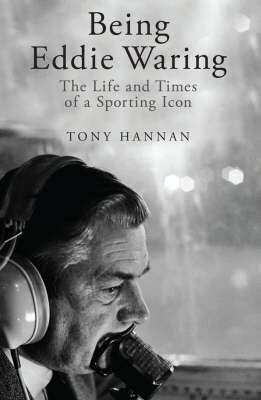 In doing so, it reveals a talented, pugnacious man who took rugby league into the nation's living rooms like no one before or since.